At the office of David De La Garza Jr, DDS, our dentist and his team work to improve the aesthetics of a patient’s smile through cosmetic and restorative means. We want to help you smile confidently, and partner with all of our patients to ensure successful treatment. Whether you need to improve the shade of your teeth or would like to conceal imperfections, we provide an array of solutions that will help you smile confidently again. If you’re ready to enhance the beauty of your smile, contact our practice for more information about cosmetic dental treatments in San Antonio. Our San Antonio dentist works with you to ensure a uniform appearance, whether you’re looking for simple cosmetic improvements or full smile enhancement. 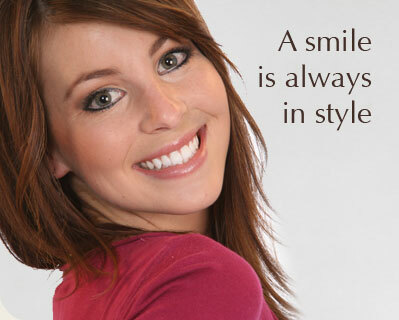 Our dentist believes in treating aesthetic concerns comprehensively. Treatments are designed to your specifications and with your satisfaction in mind; we only proceed after reviewing all of your options and making sure your concerns have been thoroughly addressed. Invisalign® - These clear braces offer a discreet alternative to traditional braces. You can remove Invisalign clear aligners before you enjoy a meal or brush your teeth. Zoom!® Teeth Whitening – Dr. De La Garza offers Zoom!® chairside treatment and whitening trays as a take-home option. During the first appointment, we perform the initial bleaching, instantly improving the brightness of your smile up to two shades. We send you home with a kit so you can continue the whitening process at your leisure. If you are not satisfied with the results, you can come in for another in-office treatment. Porcelain Veneers - Patients with undersized, misshapen, or discolored teeth have a solution in veneers that is both permanent and attractive. Porcelain, which is highly stain-resistant and long-lasting, resembles the natural appearance of teeth and allows patients to once again smile confidently. Implant Restorations – Restorations, such as bridges and crowns, complete your dental implants with suitable teeth replacements that allow you to function normally. Dr. De La Garza has worked with the same lab for over twenty years and continues to rely on them to produce attractive and functional teeth replacements. We take a collaborative approach when cases require extensive restorative work, referring patients to trusted specialists when necessary. These local specialists include an orthodontist, an oral surgeon who places dental implants, and a periodontist, all of whom Dr. De La Garza’s has worked with for over two decades. If you are not satisfied with your smile, it's never too late to pursue cosmetic treatment to restore your confidence. Schedule an appointment today if you would like Dr. David De La Garza to transform your smile! Reach out to us today for a cosmetic dental appointment in San Antonio.